Charlotte Motor Speedway's inaugural race on the new 2.28-mile, 17-turn ROVAL™ will ignite fans' senses as the world's best drivers tackle the track for the most anticipated race of the season. The newest race on NASCAR's schedule will also feature savory delights only found at America's Home for Racing. 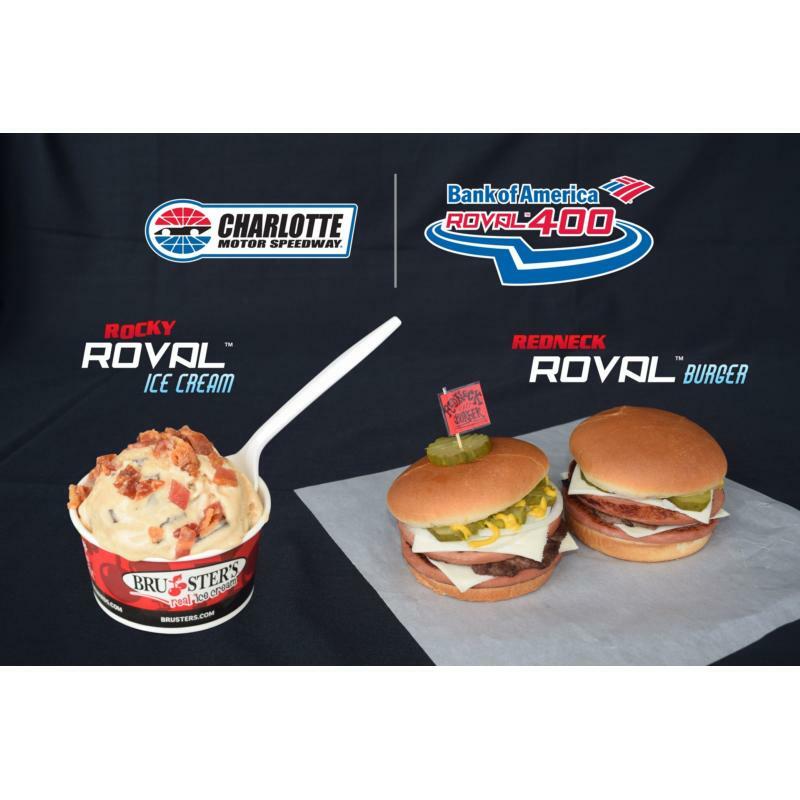 Charlotte Motor Speedway will debut Rocky ROVAL™ Ice Cream and the Redneck ROVAL™ Burger during the Bank of America ROVAL™ 400 race weekend Sept. 28-30. Developed by Bruster's Real Ice Cream and Levy Restaurants, Rocky ROVAL™ Ice Cream packs a punch of sweet, salty and savory. The concoction is salted caramel ice cream mixed with caramel syrup, marshmallow swirls, chocolate chunks and topped with candied bacon. The frozen treat will be served by cup or cone from Bruster's mobile stand, located on the frontstretch concourse underneath the Chrysler seating section. Fans looking for a down-home treat sure to keep them full for the duration of the Bank of America ROVAL™ 400 should look no further than the Redneck ROVAL™ Burger, which features a half-pound of meat. This creation showcases a succulent beef patty sandwiched between two thick slices of grilled bologna and topped with two cuts of white American cheese, onions, dill pickles and yellow mustard. The sure-to-be fan favorite can be found at the Levy Restaurants concession stands on the frontstretch concourse. 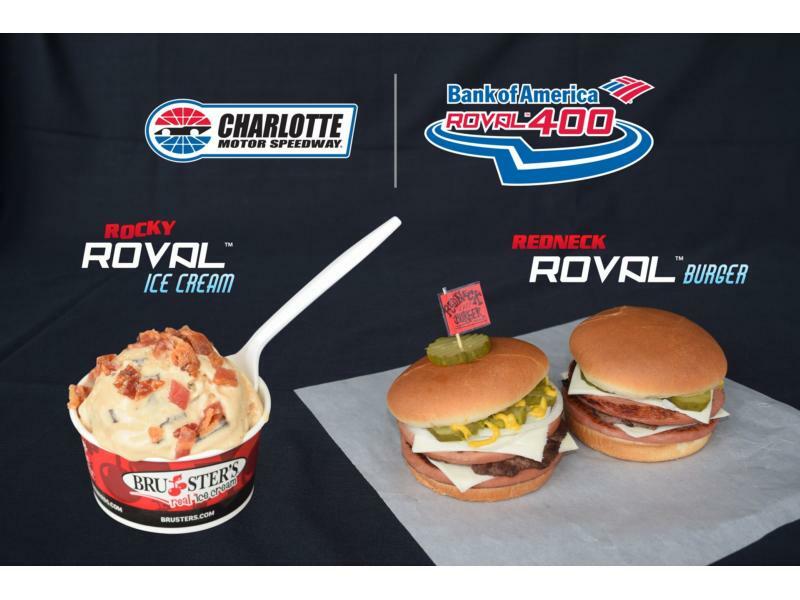 Fans can try each tasty treat during the inaugural Bank of America ROVAL™ 400 race weekend Sept. 28-30. The 17-turn, 2.28-mile ROVAL™ road course oval is the newest track in NASCAR's premier series and the first to debut since Kentucky Speedway in 2011. To purchase Sept. 30 Bank of America ROVAL™ 400 race tickets, fans can call 1-800-455-FANS (3267) or shop online at www.charlottemotorspeedway.com.